Cary Langhorne Caldwell of Charlotte was the speaker at our meeting tonight. She described how she was born in to a family of artists, and tried many different media before finding her place as a fiber artist. 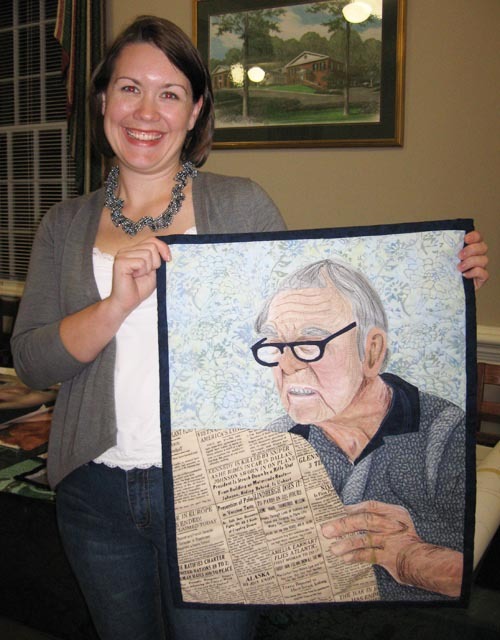 She shared her quilts, which include many portraits of her two young sons and other family members. A few of the Project Linus quilts made this month by members of LNQ. 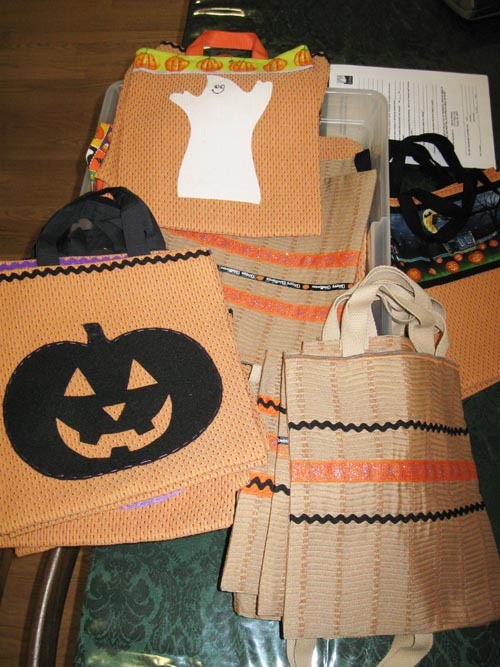 Some of our members created 45 customized Halloween treat bags for children who are hospitalized at Presbyterian Hospital over the Halloween weekend. 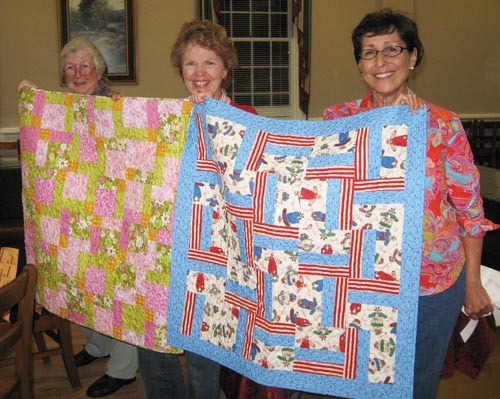 REMINDER: Don’t forget that the Mooresville Centerpiece Quilters’ Guild is holding their quilt show this weekend! The show is this Friday and Saturday, Oct. 29-30 from 9 a.m. to 5 p.m. at Lake Norman Elementary (255 Oak Tree Road). Admission is $5. This entry was posted in meetings and tagged Little Smiles, Project Linus, quilts for a cause. Bookmark the permalink.